Anti-government protesters in Thailand have marched on an army barracks in north Bangkok where the Prime Minister, Abhisit Vejjajiva, is staying. They set a deadline of midday for him to resign and call elections, a demand which he rejected. 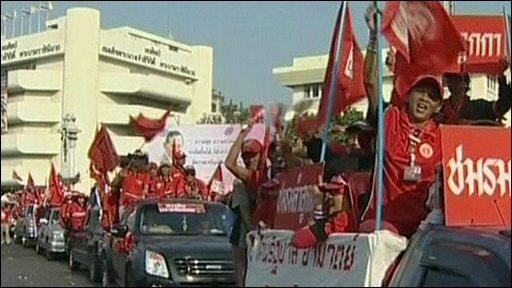 The demonstrators are mainly allies of the former prime minister, Thaksin Shinawatra.